MSI stands for 1,000 square inches. Msqft stands for 1,000 square feet. A more common abbreviation for it is MSF. These terms are commonly used in the paper industry, with regard to roll paper. Msqft is not to be confused with msqft, which refers to 1,000,000 square feet, a unit more commonly used in forestry and real estate development than paper production. Measure or identify how many MSI the object of your measurement is. 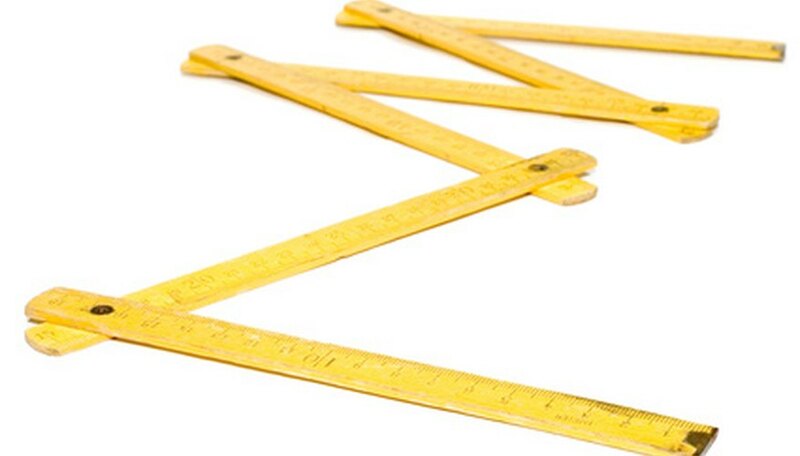 If you have just raw height and width measurements, you’ll want to convert them to decimal form first. For example, 1,000 x 6,000 inches x 8-1/4 inches becomes 6,000 x 8.25 MSI = 49,500 MSI. Divide the number in Step 1 by 144 to get the number of MSF. Round to as many digits of accuracy as you had in your Step 1 measurement. For example, in the above example, 49,500 MSI becomes 49,500 / 144 = 343.75 MSF = 344 MSF after rounding. Dohrman, Paul. "How to Convert MSI to Msqft." Sciencing, https://sciencing.com/convert-msi-msqft-6165460.html. 24 April 2017.